All share accounts are insured to $250,000 by N.C.U.A. a US Government agency. Monmouth County Postal Employees Credit Union offers two types of club accounts, Christmas and Vacation. Each requiring a minimum balance of $5.00, dividends paid monthly. Deposits can be made weekly or monthly, by direct deposit, by mail or in person. 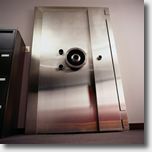 Monmouth County Postal Employees Credit Union offers Certificate of Deposit in six months, one and two years. Minimum balance required of $1,000.00. Certificates earn interest monthly at the current rate (subject to change weekly, according to the market).